This Checkered Flag Truck Stripe Kit is manufactured to meet or exceed OEM stripe/decal standards. 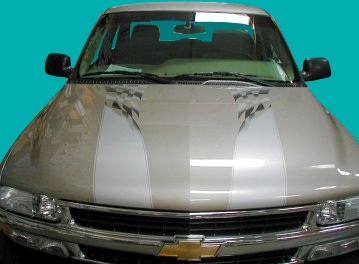 Our custom style stripe kit will help you personalize your Escalade, Tahoe, Yukon, Blazer or Suburban. 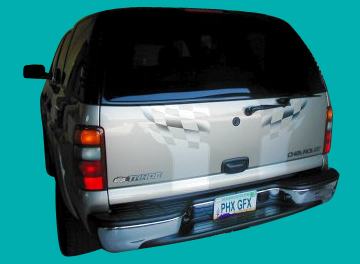 Increase the value of your classic SUV with a stripe/decal kit from Phoenix Graphix.